James McReynolds was born in Elkton, Kentucky, on 3rd February, 1862. He was admitted to the bar in 1884 and practiced law in Nashville, Tennessee. McReynolds became professor of law at Vanderbilt University before being appointed by President Theodore Roosevelt as assistant attorney general (1903-07). He also served as special counsel to the attorney general (1907-12) under Roosevelt and William Taft. In 1913 President Woodrow Wilson appointed McReynolds as his attorney general. The following year he joined the Supreme Court. 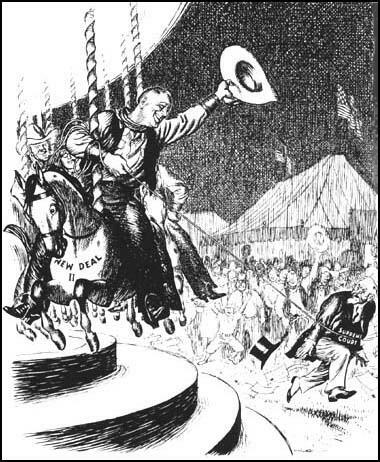 McReynolds was considered to be a liberal by Wilson but he became increasingly conservative. He was a staunch anti-Semite and always refused to sit or stand next to Louis Brandeis at meetings. Franklin D. Roosevelt, the Democratic Party candidate, was elected as president in 1932. Over the next few years McReynolds and the other justices who were supporters of the Republican Party, ruled against the National Recovery Administration (NRA), the Agricultural Adjustment Act (AAA) and ten other New Deal laws. On 2nd February, 1937, Franklin D. Roosevelt made a speech attacking the Supreme Court for its actions over New Deal legislation. He pointed out that seven of the nine judges (Willis Van Devanter, Charles Hughes, George Sutherland, Owen Roberts, Harlan Stone, Pierce Butler and Benjamin Cardozo) had been appointed by Republican presidents. Roosevelt had just won re-election by 10,000,000 votes and resented the fact that the justices could veto legislation that clearly had the support of the vast majority of the public. Roosevelt suggested that the age was a major problem as six of the judges were over 70 (McReynolds, Willis Van Devanter, Charles Hughes, Owen Roberts, Louis Brandeis and George Sutherland). Roosevelt announced that he was going to ask Congress to pass a bill enabling the president to expand the Supreme Court by adding one new judge, up to a maximum off six, for every current judge over the age of 70. Charles Hughes realised that Roosevelt's Court Reorganization Bill would result in the Supreme Court coming under the control of the Democratic Party. His first move was to arrange for a letter written by him to be published by Burton Wheeler, chairman of the Judiciary Committee. In the letter Hughes cogently refuted all the claims made by Franklin D. Roosevelt. However, behind the scenes Charles Hughes was busy doing deals to make sure that Roosevelt's bill would be defeated in Congress. On 29th March, Owen Roberts announced that he had changed his mind about voting against minimum wage legislation. Hughes also reversed his opinion on the Social Security Act and the National Labour Relations Act (NLRA) and by a 5-4 vote they were now declared to be constitutional. Willis Van Devanter, probably the most conservative of all the justices, announced his intention to resign. He was replaced by Hugo Black, a member of the Democratic Party and a strong supporter of the New Deal. In July, 1937, Congress defeated the Court Reorganization Bill by 70-20. However, Roosevelt had the satisfaction of knowing he had a Supreme Court that was now less likely to block his legislation. 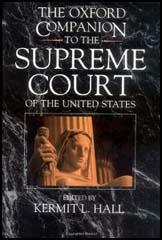 James McReynolds, who retired from the Supreme Court in 1941, died in Washington, on 24th August, 1946.